Expedia has some outstanding Nis packages ready for you. Combining your flights and accommodations is one of the easiest ways to save cash on your upcoming adventure. Smart jetsetters can earn savings of up to C$590* by purchasing a combined package deal on Expedia. With more than 400 partner airlines and 321,000 properties to mix and match from on our universal database, you won't have any problems crafting your ideal vacation. If you have to change your travel plans, we'll honor your cancellation request on nearly all bookings with no extra fee. Nearly ready to embark on your Nis vacation? Not sure what sort of things to put on your travel schedule? Don't fret — we'll give you a few pointers. Discover an excellent variety of anthropological insights on show at National Museum. It's a fun and educational day out for the entire family! There's a fabulous range of things to do in this destination. Bubanj Memorial Park offers a safe space for quiet reflection. Learn about the features of this memorial and discover more about how, when and why it was created. Still have some time on your hands? Exploring a destination's monuments is a superb way to gain an insight into its history and achievements. Seek out Nis Fortress and learn the fascinating tale behind it. Accommodations in Nis are few and far between. With only 2 properties, you won't want to leave it to the last second. But don't stress out — Expedia is the home of the greatest luxury getaways and cheap vacations. 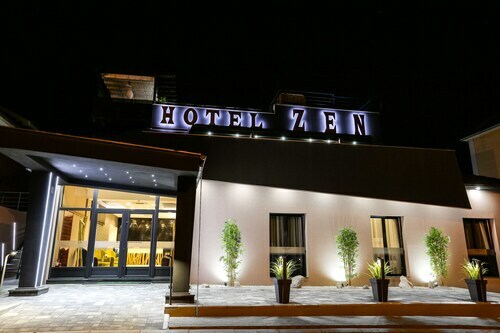 Have a look at the Best Western Hotel My Place (Kej 29 Decembar Bb) and the Good Night (Bulevar 12 Februar 69a). These popular accommodations don't only come with snuggly beds — they come with great reviews as well! 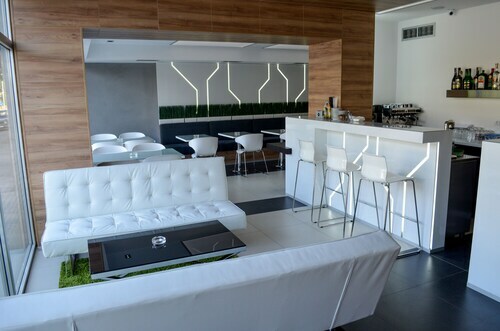 The airport is seldom the most enjoyable part of your adventure, but there's nothing like the feeling of knowing that your trip to Nis is just a plane trip away! Once you step off the plane at Constantine the Great Airport (INI), you'll be 0.7 miles (1.1 km) from the center of town. 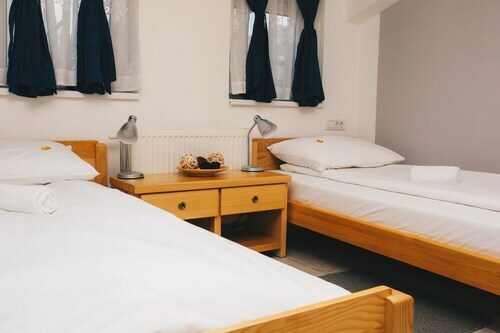 Located in the heart of Nis, this hostel is within a 15-minute walk of National Museum and Square of King Milan. Skull Tower and Bubanj Memorial Park are also within 3 mi (5 km). Nis Station is 27 minutes by foot. 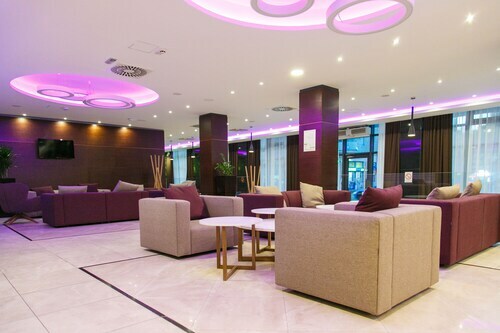 Located in the heart of Nis, this hotel is within 1 mi (2 km) of Square of King Milan, Nis Fortress, and National Museum. Skull Tower and Bubanj Memorial Park are also within 3 mi (5 km). Situated in Nis, this hotel is within 1 mi (2 km) of National Museum and Square of King Milan. Nis Fortress and Bubanj Memorial Park are also within 2 mi (3 km). Nis Station is 28 minutes by foot. Situated in Nis, this hotel is within a 10-minute walk of Square of King Milan and National Museum. Nis Fortress and Skull Tower are also within 2 mi (3 km). Nis Station is 24 minutes by foot. 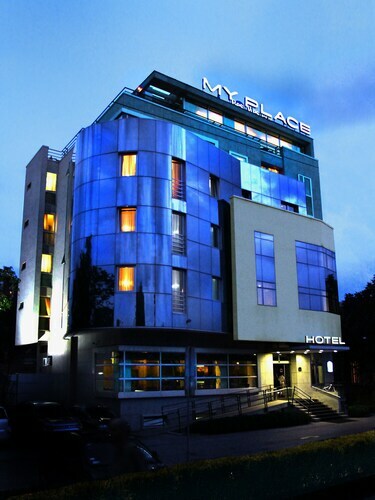 Situated near the airport, this hotel is within 3 mi (5 km) of Nis Fortress, Square of King Milan, and Skull Tower. National Museum is 2.4 mi (3.9 km) away. 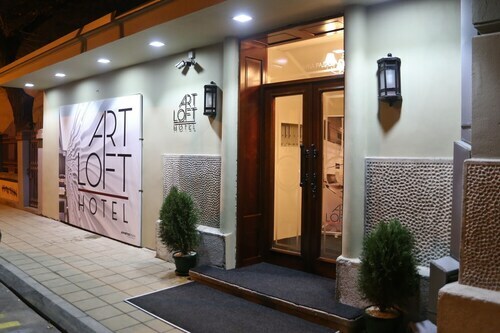 Situated in Nis, this hotel is within 1 mi (2 km) of Square of King Milan, National Museum, and Nis Fortress. Skull Tower and Mediana are also within 3 mi (5 km). Situated near the airport, this guesthouse is within 1 mi (2 km) of Nis Fortress, National Museum, and Square of King Milan. Skull Tower and Bubanj Memorial Park are also within 3 mi (5 km). Nis Station is 29 minutes by foot. Situated in Nis, this hotel is within a 10-minute walk of National Museum and Square of King Milan. Nis Fortress and Skull Tower are also within 2 mi (3 km). Nis Station is 21 minutes by foot.